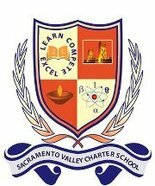 Recently, Sacramento Valley Charter School, the first Punjabi public school in the US, had been having technical problems with their technology lab. Khalis Foundation reached out to the staff and worked with them to standardize their lab computers and install software to keep the computers safe and updated for students. Volunteers of Khalis Foundation helped out in the computer lab and classrooms at the school for over 40 hours. After a couple weeks, Khalis Foundation was able to help fix the technology lab so that students were able to get back to using it. “You are doing an outstanding job! Thank you for the support given to the technology lab. Without you the lab would not be in use,” said Shelia Gibson, the new principal of the school. Sacramento Valley Charter School has strong community support and participation that provides a rigorous, standards-based curriculum and individualized support for all children. The school’s mission is to create an inspiring and challenging learning environment for children and to promote a culture of strong social and family values. If you are a Sikh organization and are in need of technological expertise, please contact us. Our work is only possible with the support of the sangat. We are volunteer and donation driven. Please donate here.